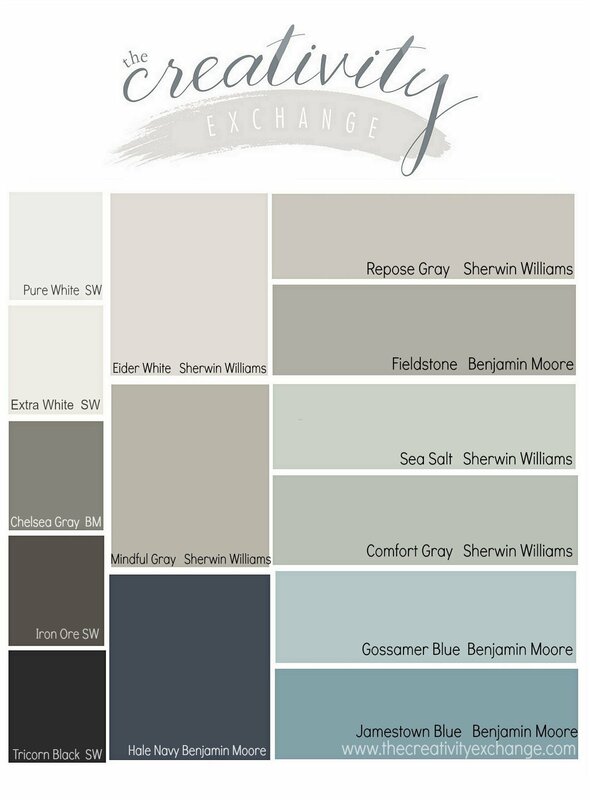 A few years ago, I took a poll on the blog and on The Creativity Exchange Facebook page, asking for readers favorite paint colors. The response was overwhelming and I started to see the same paint colors continually being mentioned. So I tallied up all the votes and I pulled all the top picks together to create this palette and list below. While many of these colors are still some of the most beautiful and popular paint colors out there today, I want to update the list and do a new poll for us as we head into 2018. At the end of this post in the comment section, I would love for you to share your favorite color(s) that you are loving now for the poll. Many of you share the love of color and paint (like I do) and we all have discovered some great colors together thanks to your comments and suggestions. More than any other resource that I use for discovering and highlighting great colors on the blog, I am the most interested in finding out what colors you guys are using and love on your walls. I won’t be surprised to see a few of the colors from the 2014 poll on the updated list. Dependable and timeless paint colors are truly timeless and the best colors will stand the test of time. I am curious to see if Sherwin Williams Tricorn Black continues to be readers favorite black. Tricorn Black has always been on of the most popular blacks out there because it’s a true black with no strong undertones. I fully expect to see Benjamin Moore Kendall Charcoal on this list. In the last year or so, this deep rich color has really surged in popularity. 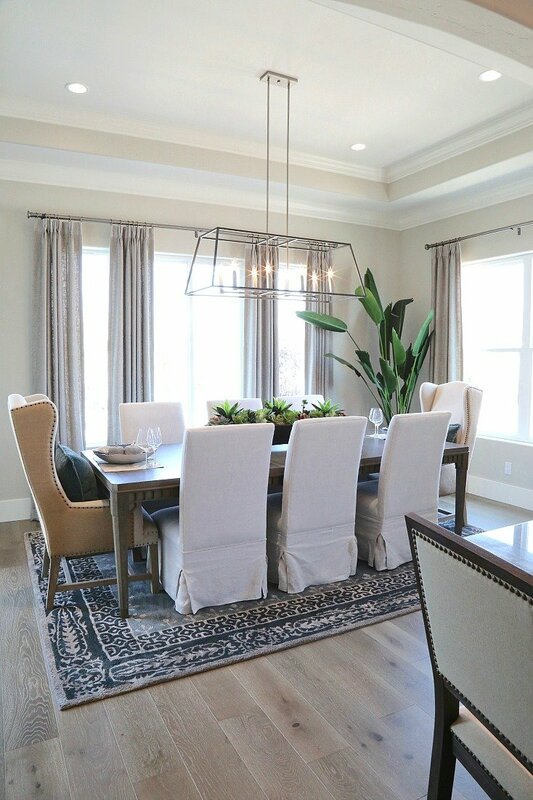 I saw in used in so many homes when I did the Salt Lake City Parade of Homes. I would be very surprised if Sherwin Williams Sea Salt is not at the top of the reader’s favorite list again this year. 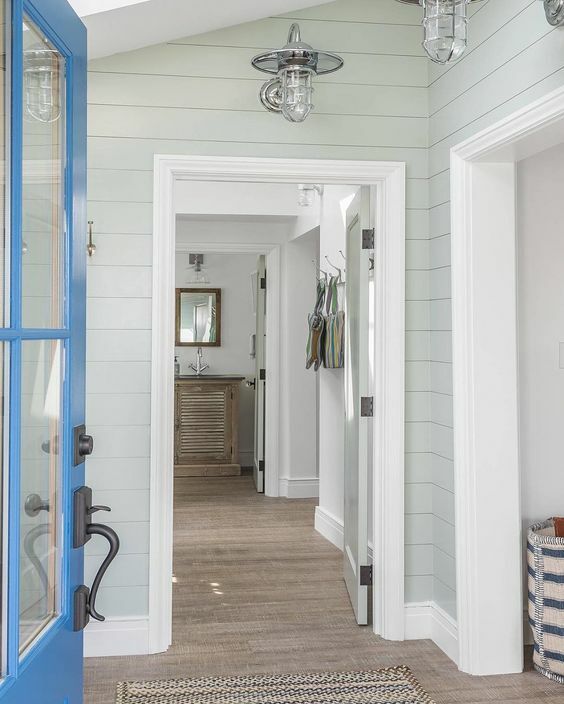 Sea Salt is an all-star color that was by far, the number one color mentioned by readers in the last poll. 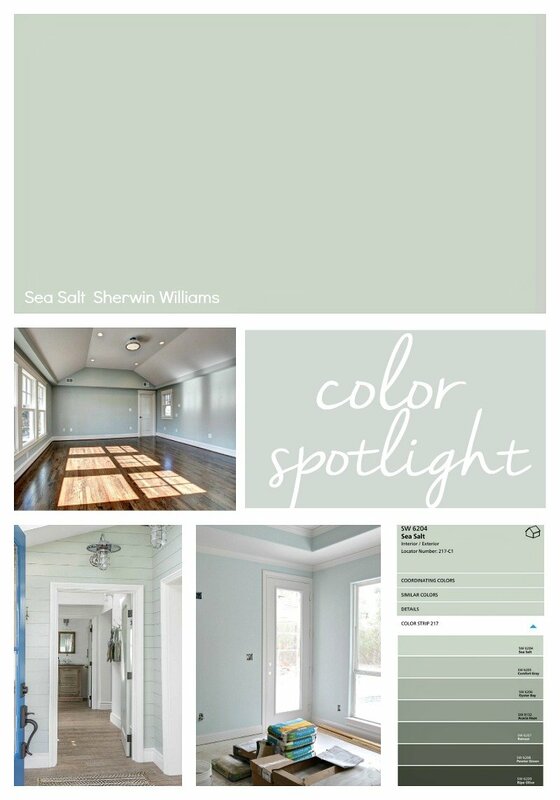 If you want to see more spaces painted with Sherwin Williams Sea Salt, you can check out my Color Spotlight. I have been seeing Sherwin Williams Dovetail used a lot lately as well and I am curious to see if it makes the list. 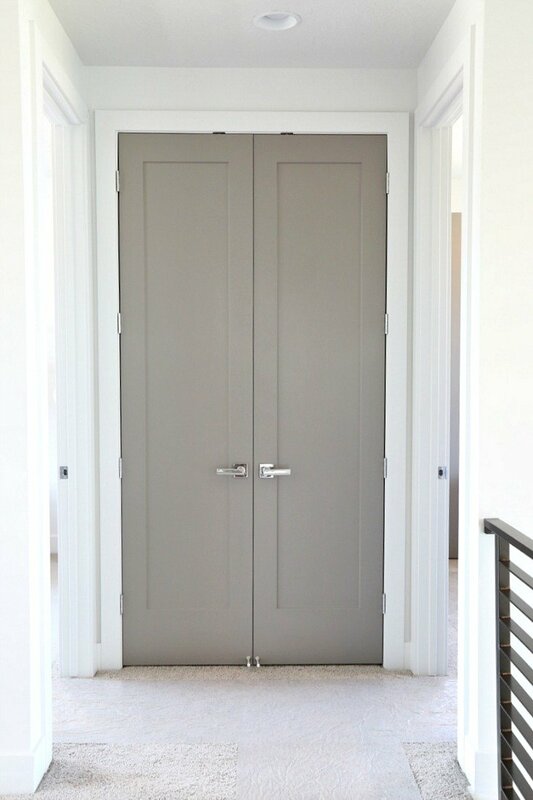 It’s two shades down on the same paint colors strip from the very popular Sherwin Williams Repose Gray and Dovetail has quickly become a popular interior door color! 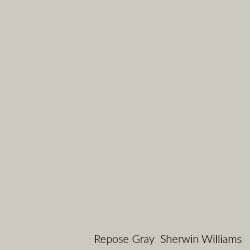 Speaking of Sherwin Williams Repose Gray, there is no doubt that this color will be at the top of the list again this year because it really is a perfect gray. It’s the color I used throughout my home and recommend the most to my clients. 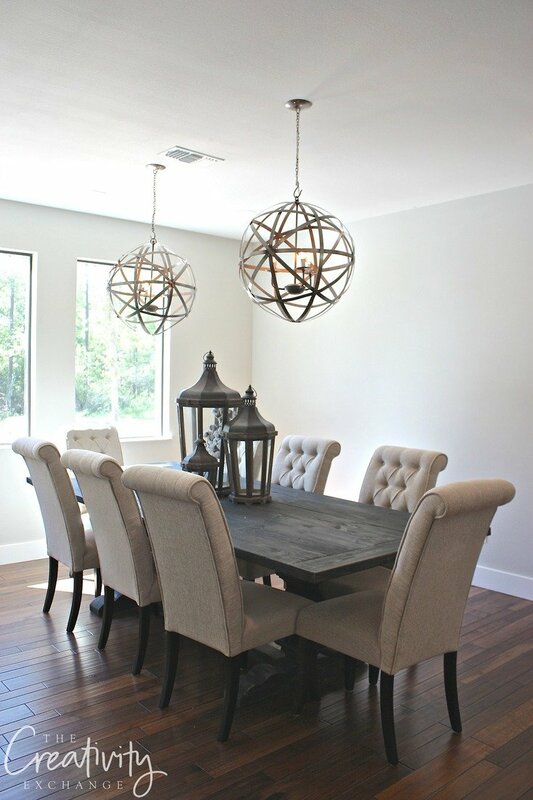 It has the perfect balance of cool/warm undertones and looks stunning in any lighting situation. 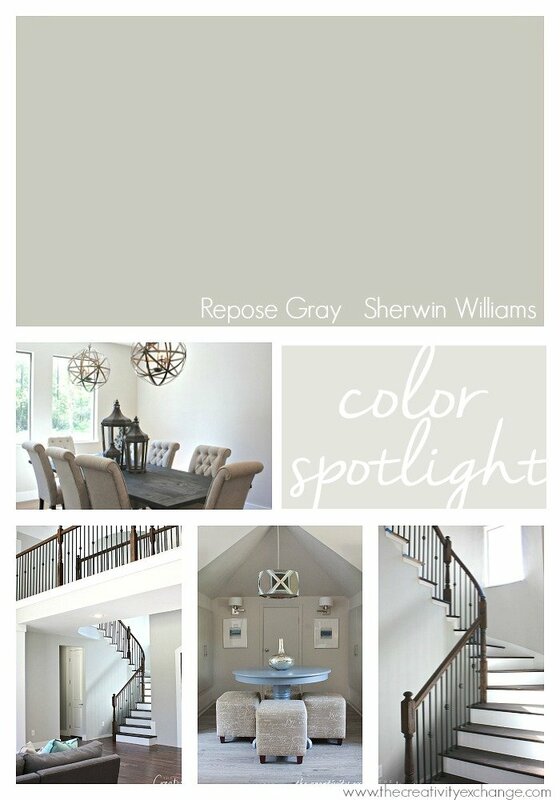 If you want to see more Repose Gray spaces, check out my “Color Spotlight” post that I wrote going into details why Sherwin Williams Repose Gray works so well. I cannot wait to hear what you guys are loving right now and see the results from the readers favorite paint color poll! I am curious to see what newer colors are popular with you all and what timeless colors will make the list again. You can share your favorite color(s) in the comment section below and you can share as many as you like. Every color mentioned will get a vote! 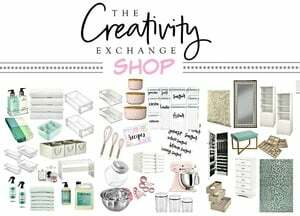 You can also vote on The Creativity Exchange Facebook page here, where I have been sharing some great new colors on my radar. Love SW Alabaster! 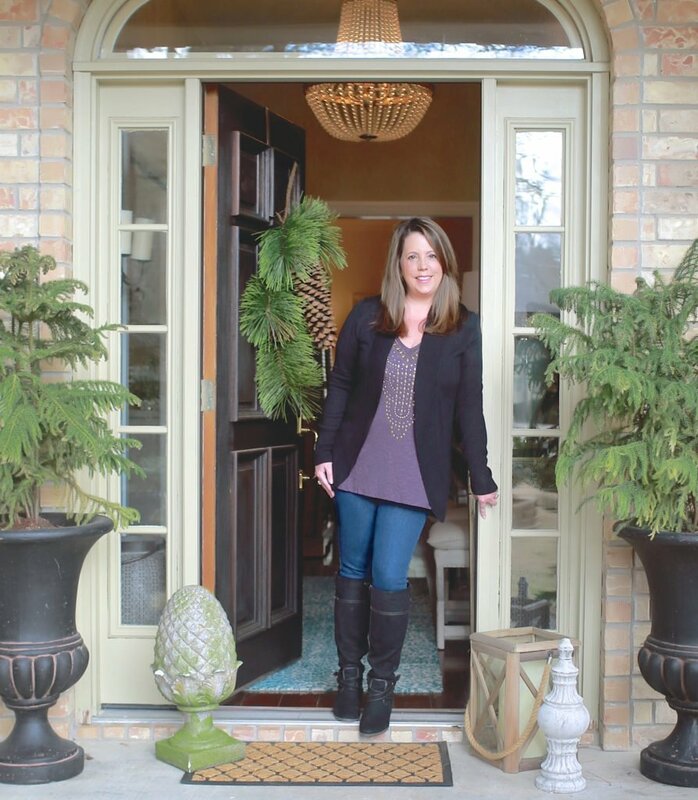 I have two homes and all trim, interior doors and most cabinets are Alabaster. It’s not white, not cream but a beautiful merging of the two. For gray, I like SW Argos & Passive. These are the base colors throughout our primary residence. On the same strip, City Scape made a beautiful island; Iron Ore the stairs and railings. And then there’s SW Sea Salt which is our primary color for our lake house interior. We have lots of windows and it’s fun to see what color it will look like in different rooms. I just built a house and did extensive research on grey and griege. We used sw repose grey as our warm grey. 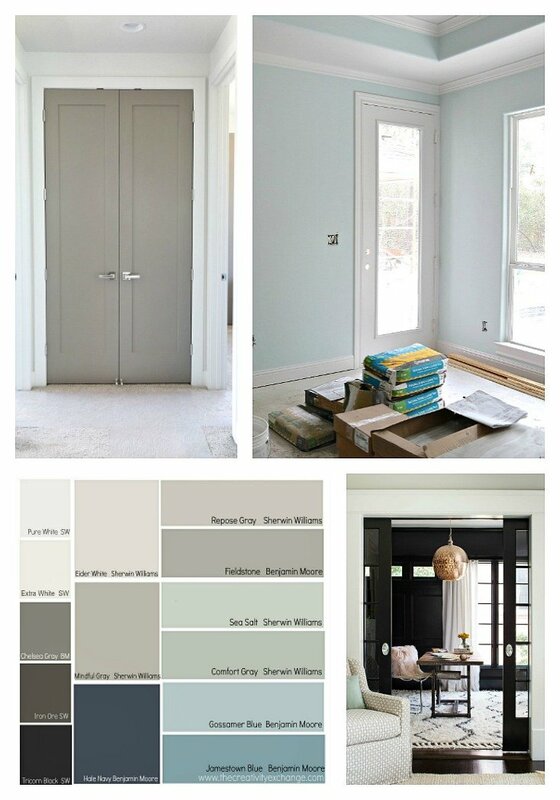 Sw passive grey as our cool grey and sw naval as our accent wall color. for my girls rooms (6 and 2) i used sw sugarplumbed which is a pink-purple blend with grey undertones. This year, we painted our current house mainly in SW Magnetic Gray, SW Silver Strand, SW Silvermist, and SW Tradewind, with SW Refuge for a dark accent. Last house was SW Comfort Gray and SW Sea Salt. We wanted something similar but different for the new place. I love SW Black Magic. I just love all the wealth of information that you share with us. I am getting ready to paint the interior of my home and Repose Gray sounds like the perfect gray for me. I will also need to paint all the trim. What color white do you recommend? I’m trying some Farrow and Ball colors because I’ve heard so much about them and the depth and luminosity of their paint is amazing in their showrooms. Elephant’s Breath is gorgeous and their #1 color. A soft taupe. So pretty. I almost painted my kitchen cabinets F&B Strong White (a very light and warm gray) but feel the gray theme making it’s way out and kitchens need to last a lot longer than the gray craze we all love today. So kept it classic with SW Extra White 70006 and Calacutta marble subway tile backsplash. Another F&B I am dying to use is Pigeon, a gray-green that is lovely and soft. I’m interested in trying Farrow & Ball colors. Where did you get samples sizes? Thanks! For most people, you have to order the sample from Farrow and Ball, which you can find on their website. There are only a few locations in the country, currently. I just painted my kitchen BM Grey Owl and my living room BM Pashmina with Kendall Charcoal trim. I plan on repainting my bedroom and bathroom in BM Chelsea Grey. Apparently I love Benjamin Moore paints in shades of grey. 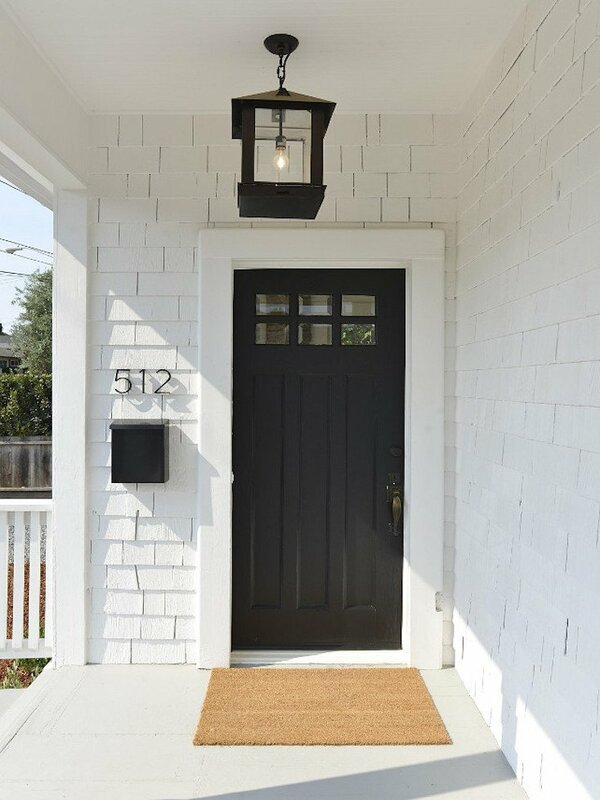 I also need to repaint my front door. I’ll either put on a fresh coat of BM Sundried Tomato, or change the colour to BM Imperial Yellow or Stuart Gold, or Black #2132-10.
delicious. My daughter just used it in her new home and I am totally jealous. ? Dang it! I meant Shale. Just realized I wrote the wrong color. Love it! Although SW has great colors, I am NOT a fan of their actual paint. My go to paint over the years is Dunn Edwards. If I do my homework, they have NEVER disappointed. The house that we are in now must have really strange lighting. NONE of my previous “go to” colors looked good, nor did any of the top SW colors. Maybe the windows have a weird tint to them, or maybe it’s the 10 foot ceilings, I have no idea! So finding a good color has been a bit of a challenge. Last year I painted the interior of our home “Sandcastle” by Dunn Edwards. It is beautiful! Everyone has loved it. If anyone else has a weird house & is having a challenge finding a nice warm neutral, give it a try! I tried some of the top whites as well and they didn’t look right so I stayed with good old classic “Swiss Coffee” for my trim & doors. Favorite Gray: SW Conservative Gray. I have used it at full strength, 50% and 25%. Favorite White: SW Pure White. Favorite Colors: SW Sea Salt, SW Rainwashed and BM Wyeth Blue. Furniture: Layla’s Mint by Miss Mustard Seed and Annie Sloan’s Old White/Pure White 50-50 mixture. I just painted my interiors White Sand by BM, and love it! SW matched Valspar Gravity at 25% for bathrooms and Master, I love the cool blue undertone of this gray. Based on another of your posts, I’m currently painting my kitchen cabinets PPG Delicate White. I think your recommendation was well founded, it feels like a very durable finish; I love how well it self levels. In the house I just sold, I used SW White Dove (or Dove White) which was a beautiful color but don’t think it’s as durable or good as the PPG in self leveling. We have just bought a fixer upper. 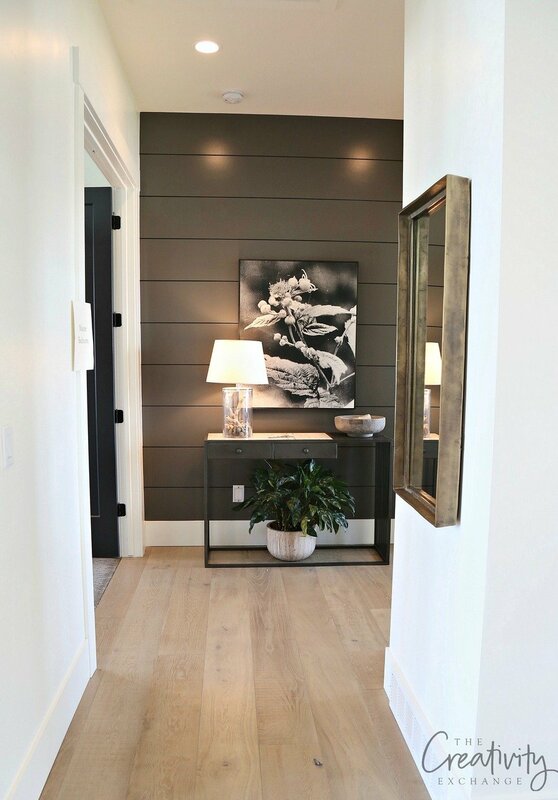 I love the look of lighter walls with darker trim. I love the Repose Gray and am thinking of painting all trim in that color. What color would you recommend painting the walls? Would Alabaster look good? If so, would you suggest painting ceiling the same color? SW Zircon throughout with a master bedroom accent wall in SW Dustblu. Ceilings and trim SW Pure White. I did a lot of research on the whole “greige” thing and looked hard at SW Repose Gray. It ended up going too brown for my tastes though. SW Zircon ended up being the perfect choice for me. With the lighting in my home it really looks like there is more than just one color throughout the house. agreeable gray (SW) — hands down everyone still loves it! Classic Gray (BM) — doesn’t get the attention I think it should! Green Smoke (Farrow and Ball) — great for urns and accent pieces! Black Fox (SW) — it’s really a dark dark brown with black undertone I think. Behr Silky White — Neutral to warm-ish. Nice with warm greiges like Revere Pewter. We built a new house this year, and I’m very happy with our main neutral: SW 7029 Agreeable Gray. 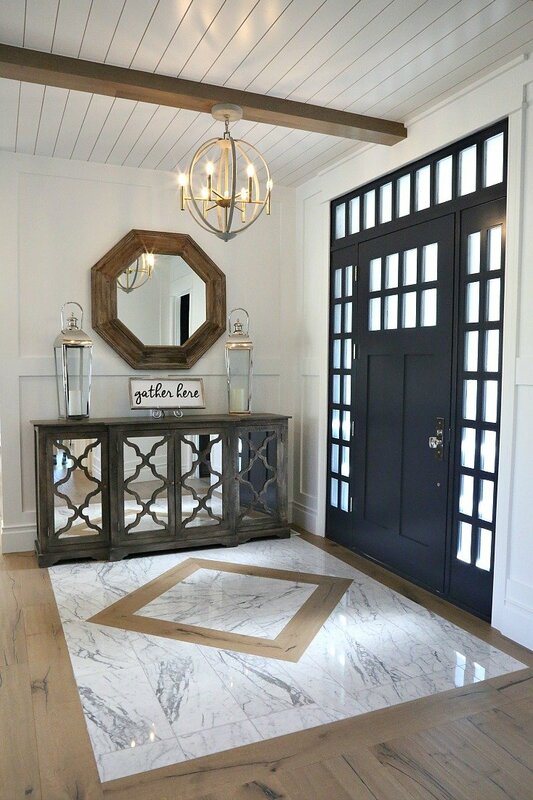 It just seems to work with everything, whether it’s white cabinetry and tile or dark hardwoods. I have SW 6222 Riverway in my powder room on the upper walls above white wainscoting and I love that look. We put SW 7638 Jogging Path in our basement, because we have zero windows and I wanted something a little warm and not too light. It is a very nice mid-tone. We completed a main floor renovation in 2017 and used BM Classic Gray(50% darker) for the walls and BM Cloud White for the trim. Love it! I’m a huge fan of Revere Pewter. I have this as the color for the entire back of my house and Dining room. Now I wish I would have put it throughout the entire downstairs great room. It’s the perfect greige. BM Sparrow – painted my apartment kitchen wrapped into living room. Lots of natural light, gorgeous. SW Colonnade Gray – after much testing, a perfect modern greige! Sherwin Williams “Rain”. goes with most wood furniture. This color gives me a relaxing coastal feel and changes color at different times of the day. I have received many compliments and still love it four years later!.